From Eid celebrations to football fever and a super sale! From a henna workshop to an Old Dubai Iftar Walk and an Eid fashion showcase; there are still plenty of ways to experience the spirit of the Holy Month of Ramadan this June, before we celebrate Eid Al Fitr 2018 in Dubai. As we’ve highlighted everything you can’t miss this month! Regional boutiques and brands such as Vice Jewelry, Origins Collective, Emaan Home and Design Tuk Tuk are displaying pop-up at the Nadi Al Quoz venue, with unique products on offer. The special event is taking place daily from 10am to 11pm throughout the month of Ramadan. The Dubai Mall is hosting 9 immersive zones to wander through this Ramadan, with exhibits and workshops inspired by the Islamic culture, religion and heritage. Expect to see everything from books to art installations and science workshops. Improve your photography skills and discover Dubai’s hidden treasures, with an Old Dubai Iftar Walk hosted by Gulf Photo Plus. You can experience Ramadan from a local perspective, whilst breaking the fast in the unseen streets of Dubai. A must for foodies and photography enthusiasts! Prepare for Eid with this pop-up of luxury labels and brands to browse through. The pop-up will run from 8pm to 2am on both days, as you can shop luxe jewellery label Roma Narsinghani and labels such as Shoug, The Cap Project and Mintsa & Czar –all perfect for your Eid wardrobe. Just in time for Eid, this workshop offers participants a hands-on, contemporary spin on bedouin henna. Starting at 8pm, the workshop will look back at henna traditions and origins, before you begin to create your own bedouin-inspired design. The workshop is free, but henna artists will be present to apply your design from the workshop which costs AED 50. From fan tents to live screenings and football themed brunches, prepare to let football fever take over Dubai as the FIFA World Cup 2018 begins on 14th June. 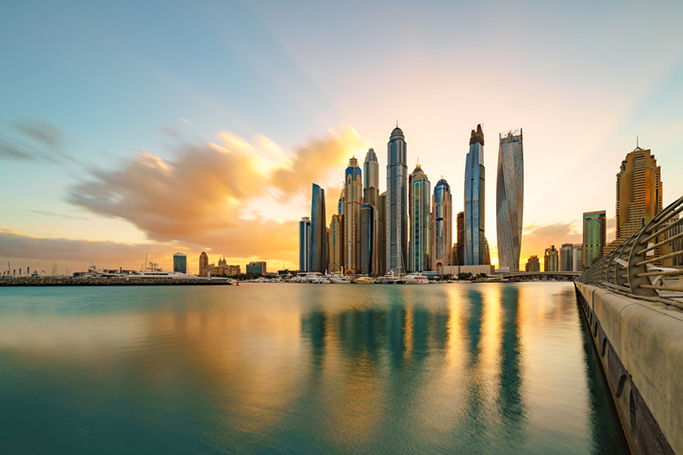 Luckily, we’ve sourced the top places to watch the world cup in Dubai so you won’t have to deliberate, click here to find out where to catch the action. At the end of Ramadan 2018, Muslims across the world will observe Eid Al Fitr 2018, with plenty of celebrations expected to take place throughout the UAE. Dubai arranges a diverse line-up of events for families, residents and visitors to enjoy for Eid Al Fitr, so get ready for fireworks, special shows and potentially a long weekend to enjoy. In celebration of Eid, Syrian singer and regional favourite Assala Nasri will perform on the Dubai Opera stage for a night of world-class Arabic entertainment. Tickets range from AED 450-2000 and the concert starts at 8.30pm. Six weeks of sales are starting in June so you can expect discounts and entertainment across malls in Dubai. With the Dubai heat rising, shopping is the perfect activity for summer in Dubai –especially with bargains to hunt. For more information on Dubai’s summer sale extravaganza click here.